Oakland Industries can custom design a paint circulation system to meet your needs. Oakland Automation understands the interaction & dependency between application & circulation systems. All of our paint circulation systems are designed to maximize paint recovery & minimize solvent usage. 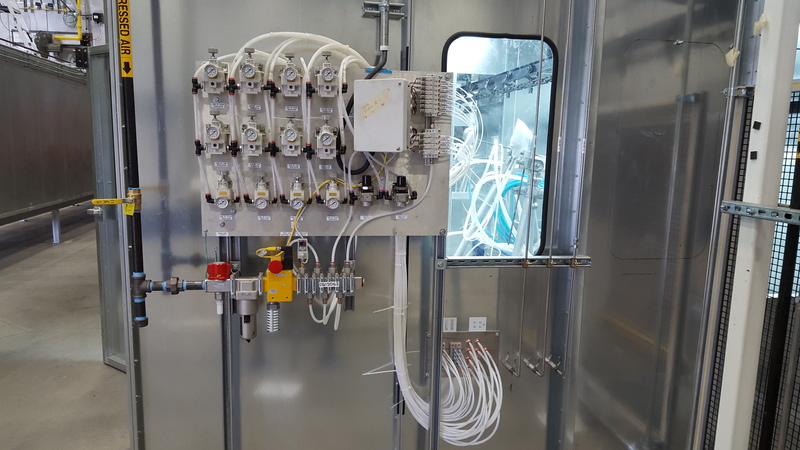 Whether it is a piggable or high viscosity sealer system, Oakland Automation supplies fluid delivery systems with the flow and pressure to apply your coating.